When our clients approach us with a problem, we pride ourselves in being able to solve it. We have a great advantage over many of our competitors in that we have experience with a vast range of different areas, such as photography, exhibitions and design. It means when a client has a problem we can draw on a range of previous experiences to help us create a custom solution to almost all problems (I say almost, we’re not complete miracle workers…). 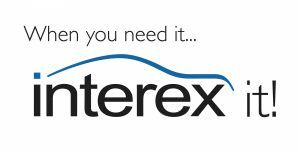 Interex Motorsport are a UK based distributor and exporter of motorsports parts. The stand that they’d already acquired in the previous year was made from a white glossy material that was reminiscent of one of their products. They wanted their clients and visitors to see the white glossy walls and have that as an example for some of their automotive parts. But as you know, the great idea confounded them with a problem. Every stand needs great graphics, whether it’s just a logo and a couple of bullet points explaining what you do, or large eye-catching images to draw people in. But how could they attach graphic panels to their stand without covering and ruining the effect of the shiny statement walls? GGS to the rescue! After a short meeting to discuss their requirements, we suggested that they use vinyl cut graphics rather than large full sized panels. What this means is that rather than printing one massive graphic to cover the entire wall we designed, printed, and finished cut out lettering, custom shaped graphics and fitted them using a self adhesive vinyl. Keeping this in mind, we spent a lot of time in the design studio drawing up plans and mocking up artwork before we presented them with our design ideas. We printed their logo, created a cool slogan and designed two large conceptual images that represented the vast range of services and supplies that Interex offer. Throughout the design process we even imposed our concepts onto a photograph of the stand to help them visualise what the final thing would look like. After this we printed the graphics in house and sent the letters off to a specialist we know to carefully cut them out for us. This same specialist soon arrived back with the letters and after giving him the graphics, spent a good amount of time in our photography studio putting them up while Interex waited patiently, sipping coffee and admiring our handiwork. We were really pleased with how the graphics turned out. 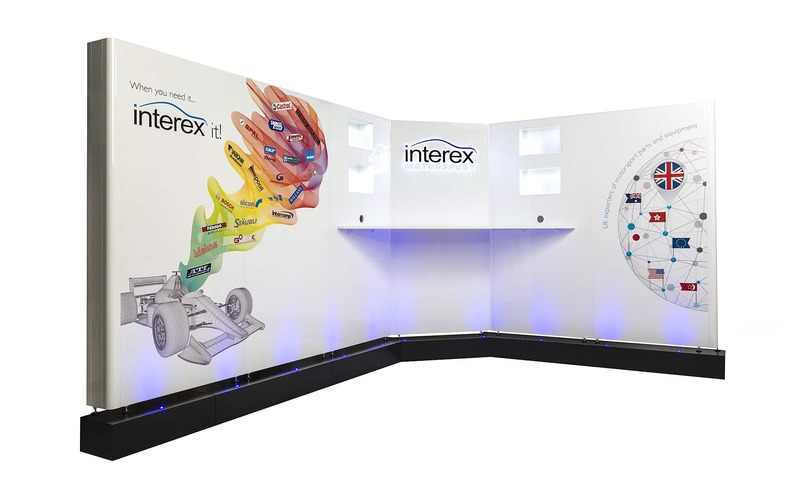 Overall the stand looked really impressive and we’re happy to report that Interex were thrilled with it too. 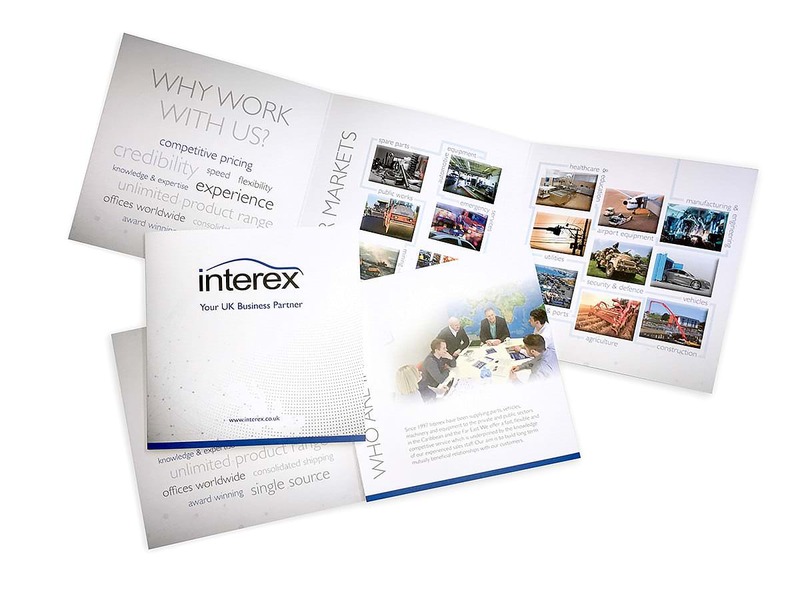 So thrilled, in fact, that they decided to use our design services again for the design and print of a company brochure!